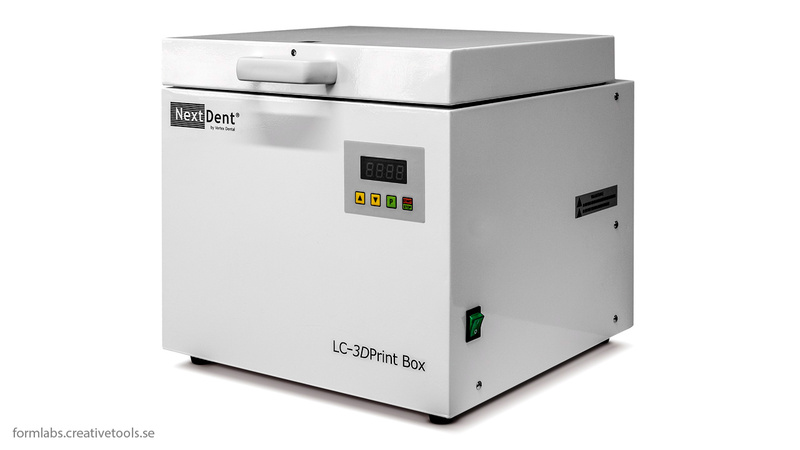 The LC 3DPrint Box is a revolutionary UV curing unit, specially designed for post curing 3D printing materials like Formlabs resins. The new LC 3DPrint Box is equipped with 12 UV light bulbs which are strategically placed inside the unit. This ensures that a product is illuminated from all directions, which results in a quick and uniform curing cycle. The spacious inside (LxB: 26cm; H: 19,5cm) allows you to easily cure multiple products at once.